NW Noggin is an all-volunteer neuroscience outreach group that teaches neuroscience to K-12 students using an arts-integrated approach. We are made up of undergraduate and graduate students from Portland State University, Washington State University-Vancouver, Oregon Health & Science University, and the Pacific Northwest College of the Arts. We create our own curriculum based on the needs of the group we're teaching, always incorporating subject-related art projects into our lesson plans. Students from Sabin Middle School use neurotransmitter-shaped stamps made out of potatoes to illustrate how neurons communicate with each other. ﻿﻿NW Noggin was founded as a way to supplement the art and science education of students in the Portland and Vancouver area. Most of the students we teach are academic priority students, and many of the schools we teach at lack the funding to provide an arts-integrated approach. 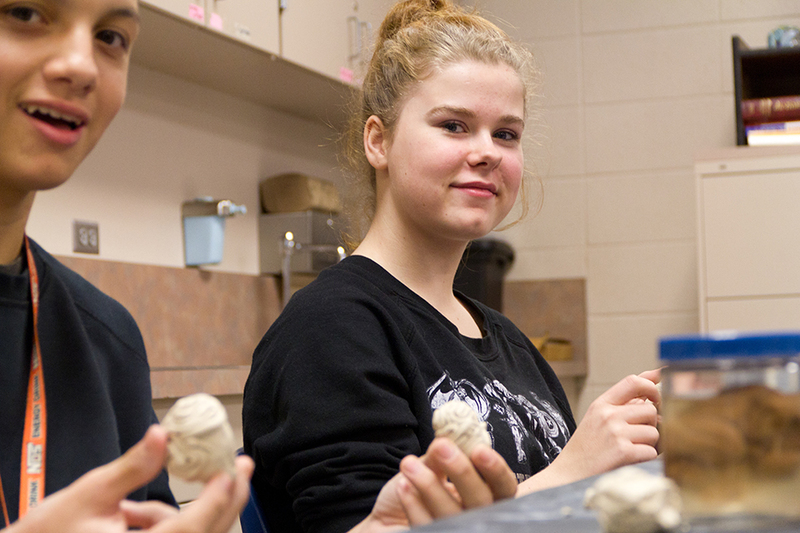 Numerous studies have shown that integrating arts into education improves learning and information retention. ​Additionally, many students don't see science as a viable career option. Noggin brings scientists and artists into the classroom, where we can show students how exciting neuroscience is and how they can get involved. Me with one of NW Noggin's preserved human brains during this summer's neuroscience outreach at Sabin Middle School. ​I joined NW Noggin out of a desire to get more involved in the Portland neuroscience community. After one day of holding human brains, I was hooked. I've always been passionate about sharing what I've learned with others, and Noggin gives me a way to bring that passion to people who may not think science is for them. K-12 students often face intense social pressure around what is and is not cool to be excited about, which can lead to interested students holding back from engaging. I know by experience that the best antidote to hesitation is encouragement by someone who knows the topic well. The enthusiastic encouragement I received from Bill, Jeff, and NW Noggin volunteers from PSU and OHSU gave me the confidence I needed to join in. Now, in every classroom I look for the student who shows both interest and hesitation. I try to connect with them and show them that this is something they can do, no matter their life circumstances. I also love art and had never found a way to tie that love to my love of science. By co-leading neuroscience-themed tours at the Portland Art Museum, I get to delve into the science of our perception of art. Why is it that we have a strong emotional response to one work but not another? 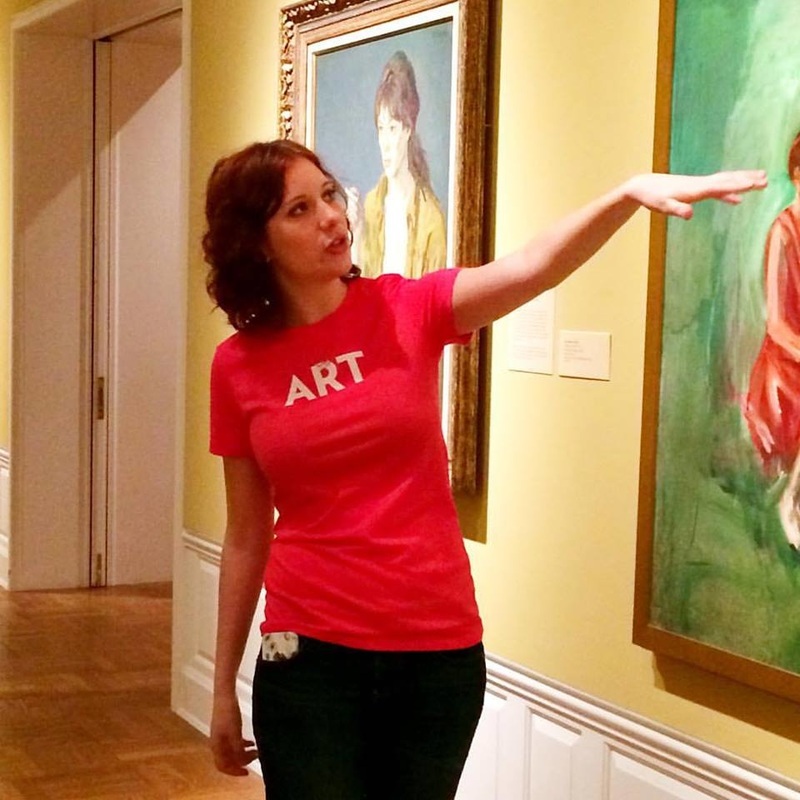 Why do our responses to art vary from person to person? By answering these questions and pointing out how the artist's tools work, I hope to give museum patrons a greater sense of wonder at the complexity of their brains, as well as a new appreciation for the artistic process. Jeff Leake (left) and Bill Griesar (right) at the 2015 Society for Neuroscience conference. NW Noggin is the brainchild of Dr. Bill Griesar and Portland-based artist Jeff Leake. Bill teaches neuroscience at PSU, WSU-Vancouver, and OHSU, and Jeff teaches art at PNCA and neuroaesthetics at PSU and WSU-Vancouver. Since its conception in 2011, Noggin has taught thousands of people about the brain in outreach efforts that range from three-week-long summer school classes to short school health fairs. We've participated in the OMSI Brain Fair, worked with homeless and transitioning youth at p:EAR, and taught Portland Art Museum visitors how art affects their brains. We hold science pub-style talks at bike shop/pub Velo Cult, where our grad students and art students collaborate to teach the public about the cutting-edge research being done in our backyards, complete with interactive art inspired by science. A Fort Vancouver biology student constructs a neuron out of pipe cleaners. 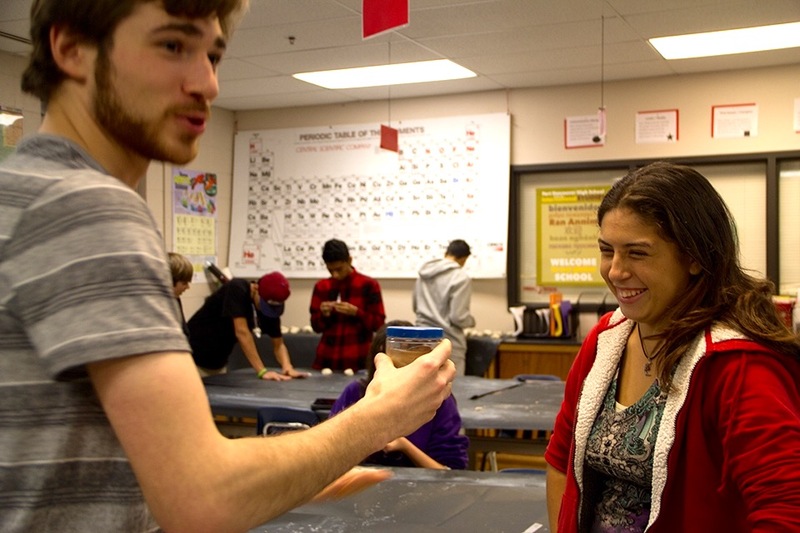 We're in the midst of a four-week outreach session to students at Fort Vancouver High School. 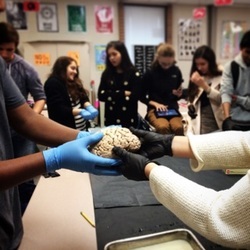 In the course of five hours, Noggin volunteers teach nine biology classes about the brain. We've talked about the lobes of the brain and their functions, how the students' brains are still developing, how neurons work, and how drugs like meth, marijuana, and alcohol affect the brain. We've made clay brains and pipe-cleaner neurons, and we've brought in actual human brains for the students to touch and hold. For our last class, we'll be dissecting sheep brains and talking about how the structure of an animal's brain tells us about its behavior. Our outreach sessions are the result of months of planning. Bill, Jeff, and the session leads meet with teachers to determine the individual needs of their class, then form a rough lesson plan and gather supplies. Once we have an idea of what we're teaching, we gather additional volunteers. Despite the fact that the classes start at 7:30 a.m. on a Friday, we still have over a dozen dedicated volunteers who have participated every week!